Get additional access and security with our single-button remote control. Use it to open and close a single garage door or gate, or as an extra remote to turn interior lights and small appliances on inside your home.Get additional access and security with our single-button remote control. Use it to open and close a single garage door or gate, or as an extra remote to turn interior lights and small appliances on inside your home. Our basic single-button remote control isn't so basic. It can operate a single garage door or gate, or turn your garage door opener lights on/off. You can also use it as an extra remote control to turn on lights or small appliances inside your home all from the comfort of your car. It features Security+® rolling code technology that sends a brand new code every time it is used. One 5-year 3-volt battery is included. Your garage door opener motorhead has a purple learn button, or. Your garage door opener motorhead has a purple antenna, or. Your original remote has silver buttons with glowing blue lights, or. Your original remote has black buttons. The MHz frequency of your garage door opener will determine what remote controls will work with your system! Compatible with Liftmaster 371LM 1-Button Remote Control, 372 LM, 373 LM, 374 LM transmitters. 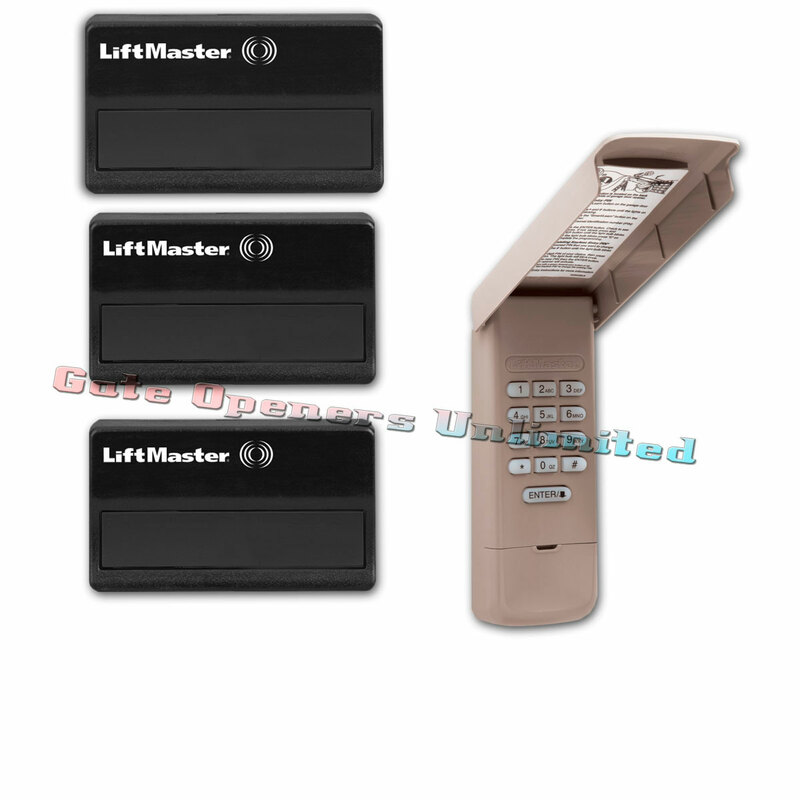 Also compatible with wireless keypad model number 376LM .New 315 MHZ Frequency, over 100 billion codes with code rotating technology.Compatible with Liftmaster garage door opener model numbers 3595, 3585, 3575, 3500, 3280, 3265, 3220, 3255, 3245, 3110, 1356, 1355, 1346, 1345, ATS2113X, ATS2113X-CX, HCT501130, LGO50113O, LGO50113L, LGO50113R, LGO50113XR.Visor clip and Lithium battery (5 years life w/normal use) included .Featuring Enhanced Radio Technology (ERT).